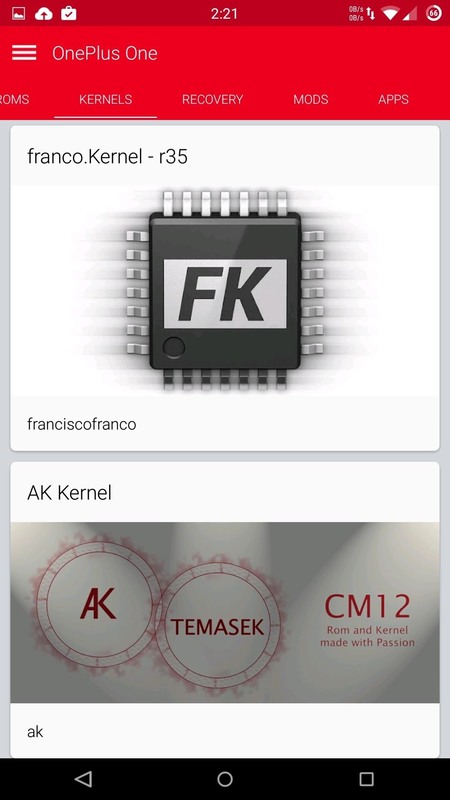 With his app, you can go through a catalog of all of the ROMs, kernels, apps, mods, and desktop software available for the OnePlus One. 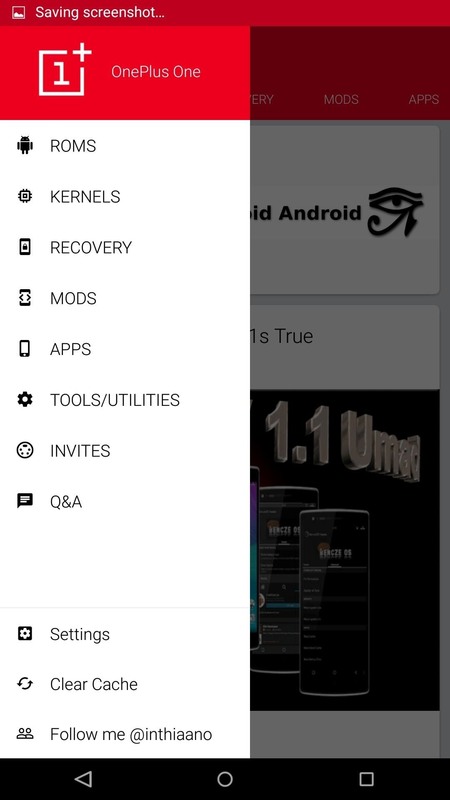 Root access is not needed for this app, but some of the tweaks may require it, as well as an unlocked bootloader with custom recovery, in order to install properly. 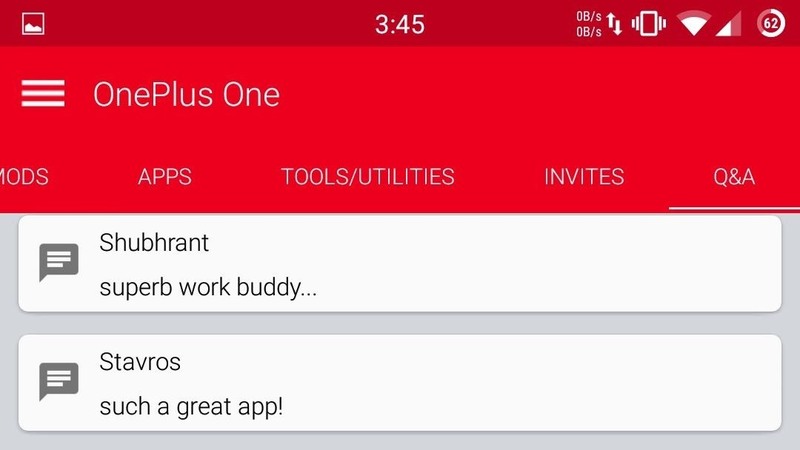 You should also know that even though the app shares the same name as the device, it is not developed or supported by OnePlus. The OnePlus One app is available for free from the Google Play Store; simply install it to get started. The app is ready to roll with Material Design aspects, so you can easily switch between categories by sliding to either side from the main page, or you can bring out the sidebar to go directly a specific section. When you select something to download, you'll be shown a description, feature list, install instructions, and a download link. The download is handled by an external browser, so all files will be saved to your internal storage's "Download" folder. Each mod is installed differently, but for the most part, you will need to flash a ZIP through your custom recovery. You can also post a comment on the mod's page by tapping the message icon, and check out the original thread it was released on by tapping the globe icon. 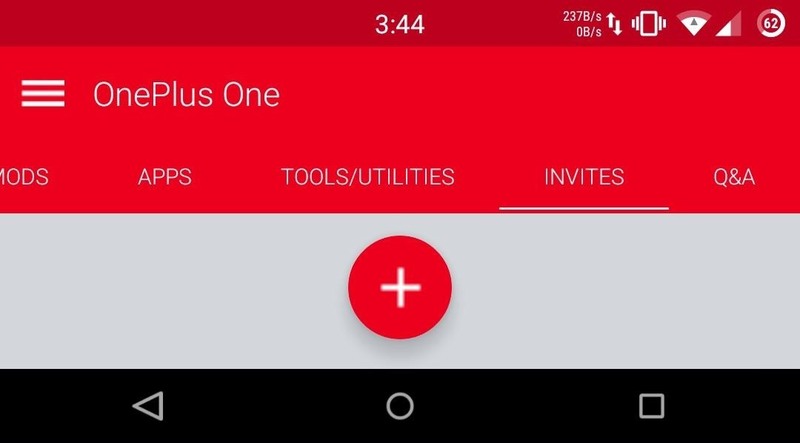 If you have a OnePlus One, you already know how difficult it was to get your hands on one, so if you are feeling generous, you can share an invite by going to the "Invite" section and tapping the "+" icon. If you're still trying to get your hands on a device, know that shared invites are sent to every user and are delivered via a notification, so you'll need to claim them quickly. The developer also included a section for users to interact with each other and share the cool things they've found. There are no subsections to the "Q&A" feed, so you'll just need to jump into the main conversation or comment on the mod's main page to ask a specific question. The app is a new release, so expect the catalog to grow and new features to be added in future updates. If you have a tweak or ROM that you like and isn't featured in the app, be sure to share it in the comment section below! And as always, share your thoughts with us on Facebook, Google+, or Twitter. The only problem is that OnePlus must have figured out a way to block this app. Alex, you must keep in mind, name etc. infringements. This is a winner for OnePlus. Too bad, it's a great idea!